Landmark hospital is dedicated to promoting healing and wellness in a safe and welcoming environment with an individualized path to recovery for each patient. Our Vision is to be recognized as a top post acute care provider in the country with our exceptional staff , un parallel services and Outcomes and individualized Patient Centered care. Compassion – We believe in always treating patients with respect kindness and compassion. Integrity – At Landmark Hospital, we know the path to recovery doesn’t happen alone. Our dedicated Clinical care team works cohesively together and with patients loved one to meet each patient’s unique needs. 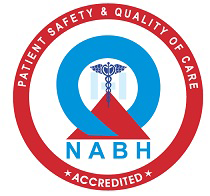 Quality Care - Our highly trained team ensures patients receive advanced innovative and safe treatments delivered with services. Consumer Service - Our number one goal is to create a positive and welcoming environment for patients and their loved once. Team work - At Landmark Hospitals We knows the path to recovery doesn’t happen alone. Our dedicated Clinical Care Team works cohesively together and with the patients loved ones to meet each patient’s unique need. Community engagement – Helping those in needs extends beyond hospital walls through Landmark Hospitals Participation in Community Service Projects.